The heaviness of the past few months was lifted off my shoulders when I turned in my final project last week. I'm still having a difficult time trying to wrap my mind around the fact that it's over; I'm on the other side. And I'm welcoming a lightness that hasn't been felt since before we packed up and left for the trip. Except, like all things, this moment of lightness is temporary and fleeting, as classes start back up in three weeks. Which means things will be going full force until I'm finished in December. 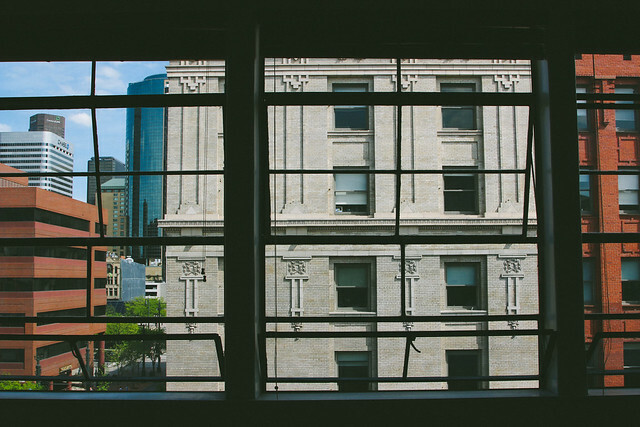 Within those (err, these) three weeks we'll be slowly abandoning our space downtown and trading it for new digs near the park. I'm anxious. Thrilled. Ready to be surrounded by houses instead of tall buildings, and greenspace instead of.. no greenspace for 1/2 mile. I'm counting down the days until I get to fall asleep sans the chatter and clanking and soft rumble of the city, and I can't wait to run in a park (dirt trails! shade! other runners!) instead of a paved trail that runs along a polluted river, through North Denver and countless homeless communities that constantly make me question whether or not it's safe for a somewhat small woman to be running in such an area before the sun makes an appearance. For the record, I do it for the adrenaline rush. Some people go skydiving, I run through sketchy, isolated parts of town before sunrise. Human instinct is to run faster when in danger so there's a bit of logic behind there somewhere. No? You're probably right. Next week, the kind folks at Saveur (my dad scolded me for not telling you here, but I won Editors' Choice for Best Original Recipes) (and did a little interview to celebrate) are sending me to Las Vegas to meet with a number of the winners and nominees, and I'm very much looking forward to crossing paths with some of my favorite internet folks. Since last year's events consisted of more boozing in two days than I typically do in an entire month, I decided to step up my game despite the fact I'm not all that into consuming alcoholic beverages because HANGOVERS ARE THE WORST. However, in preparation for Sin City I discovered the secret to combating the post-drunk awfulness is to a) guzzle a shitload of water at the end of the night and b) sober up before falling asleep. So basically I drink a lot more gin and I'm happy about it. Also: I'm ready for you, Vegas. Unless you're serving up jell-o shots, then I think I'm going to have to sit that round out. 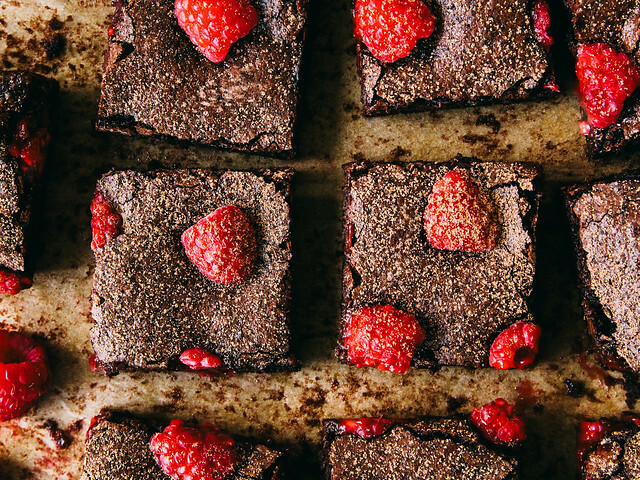 Because I've been failing miserably at pancakes (they taste on point but look terrible), brownies have been a thing around here lately. 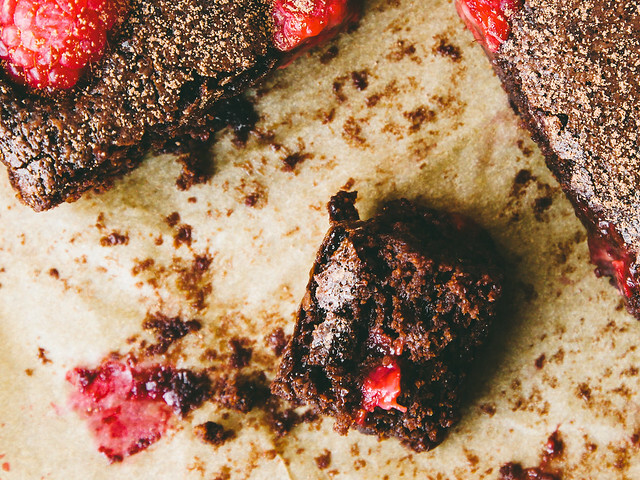 Brownies with cacao nibs. 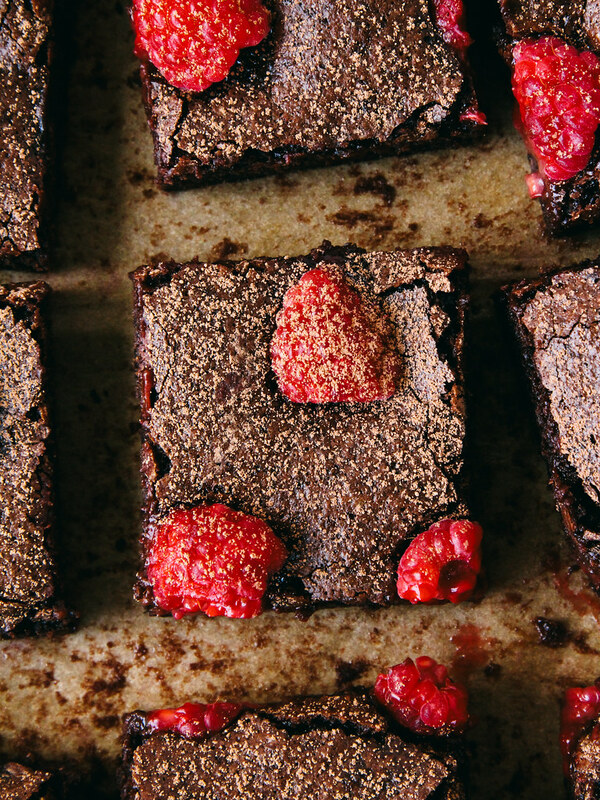 Brownies with cookie dough innards (coming soon to eHow). Brownies with a generous chocolate hazelnut swirl. 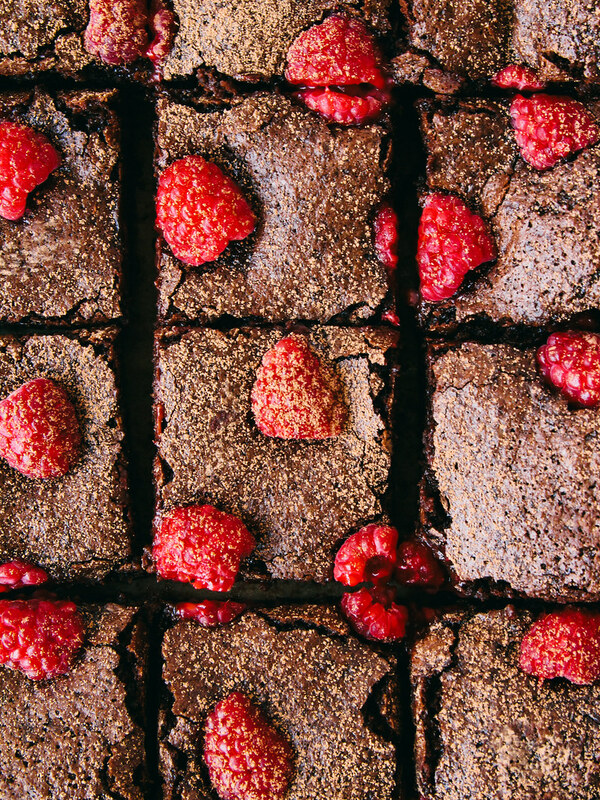 And now brownies studded with dark chocolate chunks and raspberries, and topped with a good dusting of cacao because I'm a firm believer that desserts dusted with cacao are superior to those that are not. 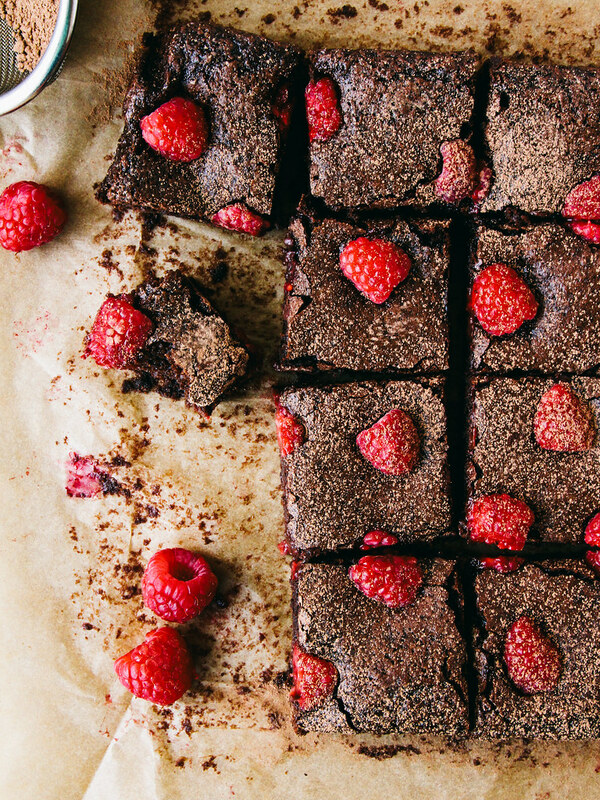 I'm also a firm believer that brownies are the solution to many of life's first-world problems so if you're having a particularly awful day - or even if you're not - you should make these brownies, open the blinds, and dance around the house to Wu-Tang Pandora (or Bloc Party if you're looking for something a little less explicit) because it's the perfect antidote for times when you're not quite feeling like yourself. And if you're lucky, Got Your Money (NSFW) will come on and you'll start feeling reaaaaaaal nice because ODB + Kelis inspire the most unabashed rhythmic movements that'll instantly make you forget about whatever it was that was bothering you in the first place. Notes: If you don't have a scale to weigh your chocolate, or if you can't find an affordable 3.5 ounce chocolate bar, use 1/2 heaping cup of chocolate chips or coarsely chopped chocolate. 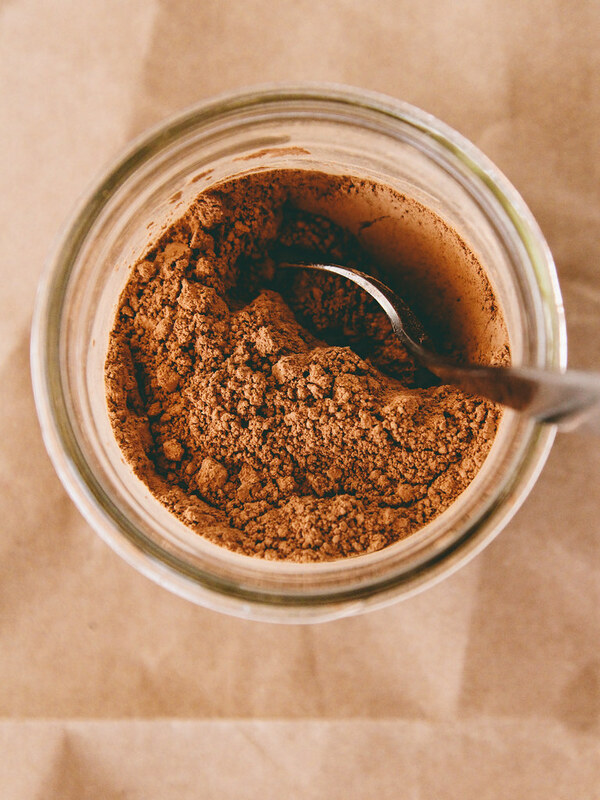 If you don't have cacao powder, natural cocoa powder will work in its place but you cannot substitute Dutch processed cocoa (without adjusting the leavening). 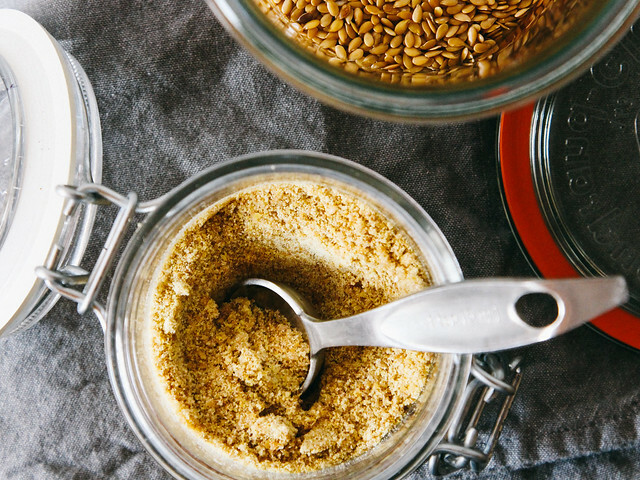 If you're not a fan of spelt, you can use all purpose unbleached flour with good results. 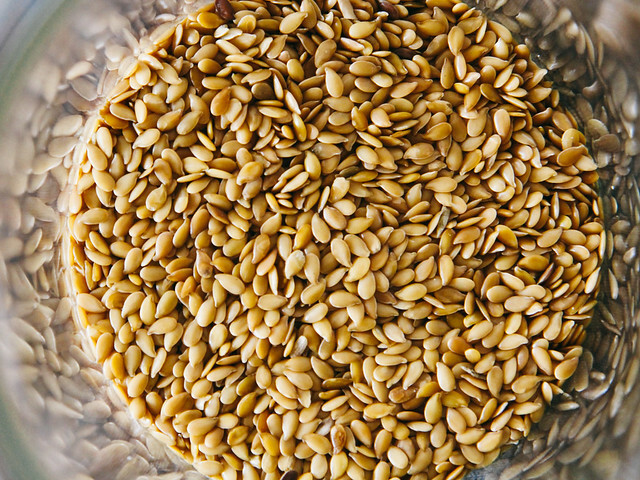 Whole wheat will work similarly except you'll want to reduce the flour by 2 tablespoons. This recipe can easily be made gluten free by substituting equal parts of a gluten free flour blend + 1/2 teaspoon xanthan gum. They're a bit on the dense side but still insanely delicious. This post is sponsored by Califia Farms. 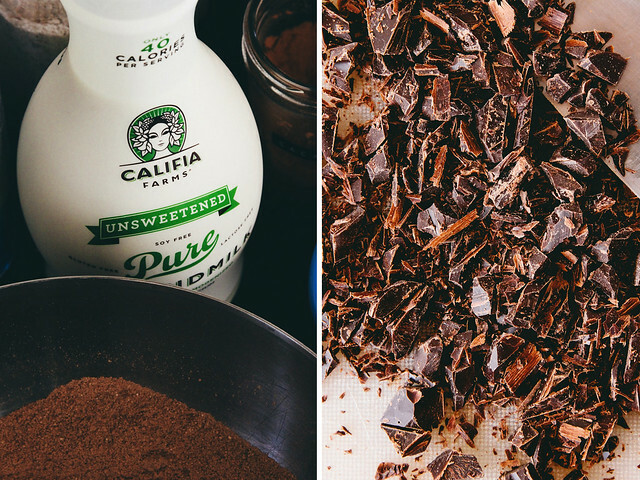 All opinions are my own (and I think Califia rules). Preheat oven to 350˚F. 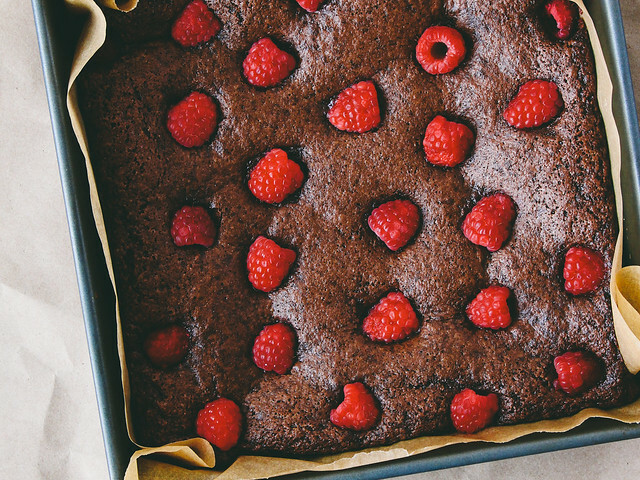 Line a 9″ square pan with parchment paper; set aside. 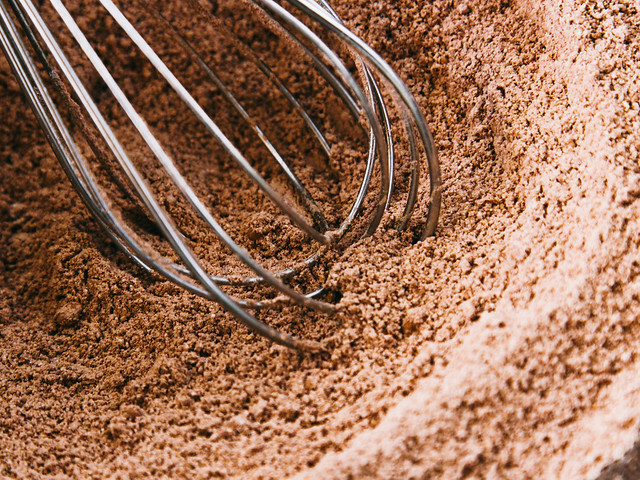 In a large mixing bowl, whisk together the flour, cacao powder, salt, and baking soda; set aside. In a double boiler over medium heat, melt the shortening and chocolate. Once melted, stir in the sugar and let cook for an additional minute. Remove from heat and stir in the vanilla extract and almondmilk. Create a well in the center of the flour mixture and pour in the flax eggs and chocolate mixture; stir with a whisk just until combined. Fold in the chopped chocolate then pour the batter into the prepared baking pan and level with the back of a spoon. 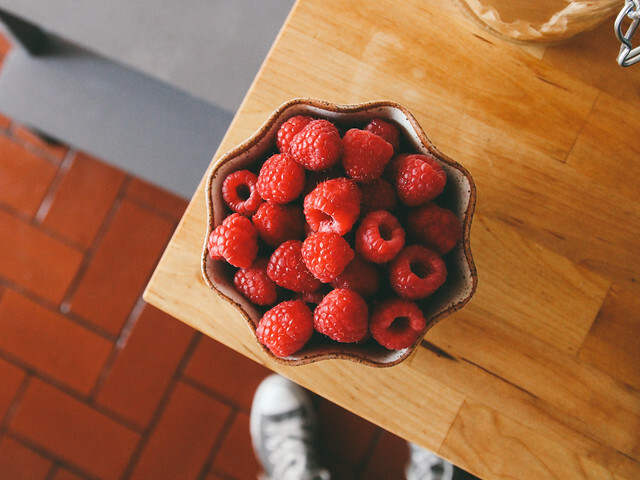 Dot with raspberries (use as many as you want). Wrap pan on the countertop a few times until the batter is level. Bake at 350˚F for 26-28 minutes. Allow to cool in pan then keep loosely covered for up to four days. 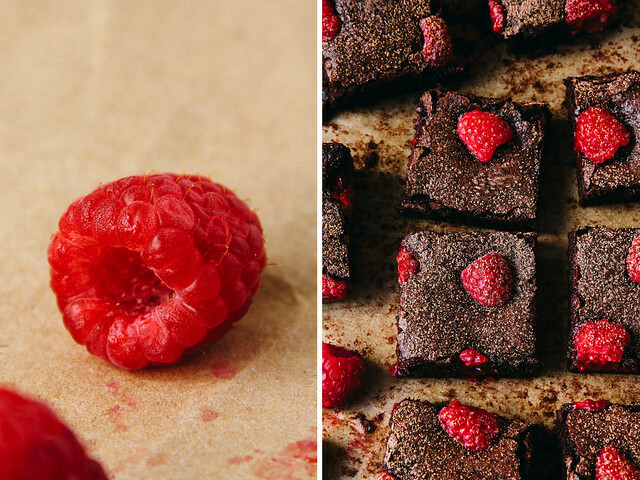 If your raspberries sink into the batter while baking, simply top with fresh raspberry halves as soon as the brownies come out of the oven.